Jamahl is a 5 X Color Champion and was raved about from the judges. He is a well conformed,compact male with above average bone. Along with those traits he is an exceptional male with consistant crimp through his blanket, hips, neck, and even in the top knot. Jamahl has an excellent soft hand and excellent density ! Take a look at Zumbador's J R! 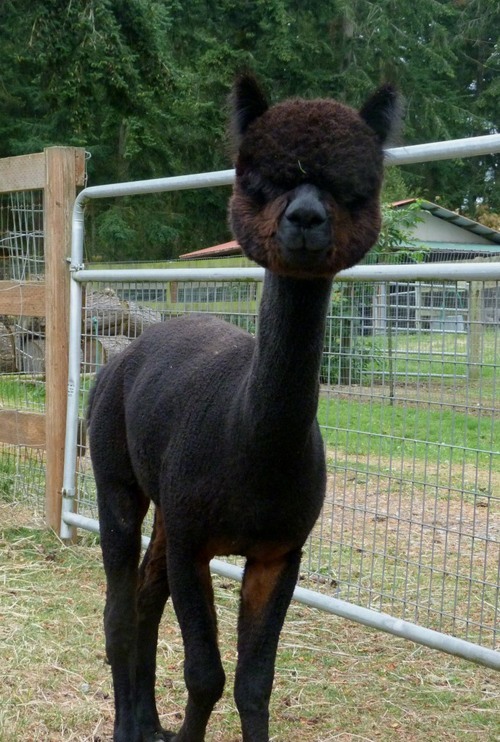 He's a gorgeous young black herdsire that we are thrilled to have join our herd! 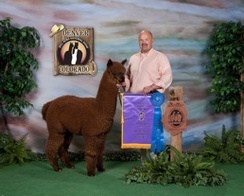 Sired by a 5X Color Champ, as well as earning several ribbons himself, J R is a beautiful male. 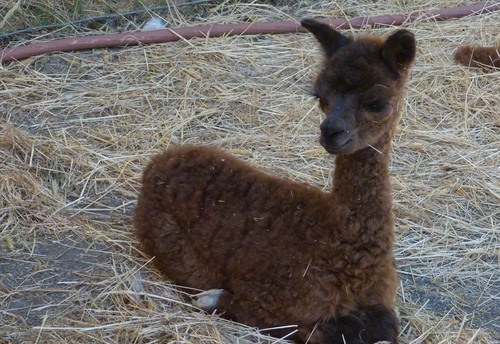 He is ready to start his breeding career and has everything needed to improve the fleece on your dark breeding program. He has a beautiful handle and his fineness is wonderful for a black. J R stands out in the field with his upright presence. 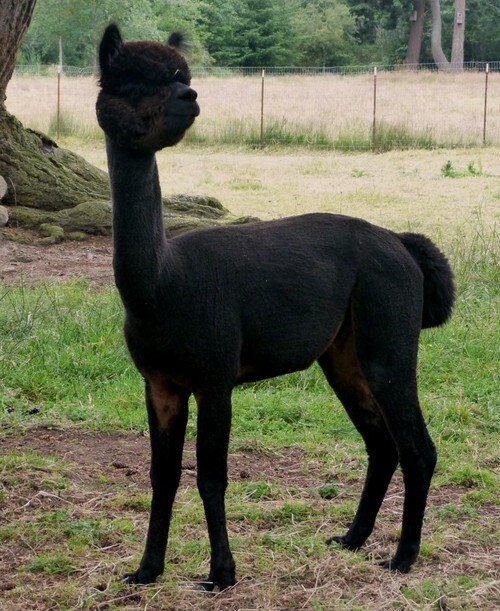 This male can bring both black and grey into your herd. We are offering JR's services at a low introductory rate only to get his breeding career started. This is a great opportunity to get quality dark genetics in your herd at a fantastic price. Book your breeding now to take advantage of this low rate! 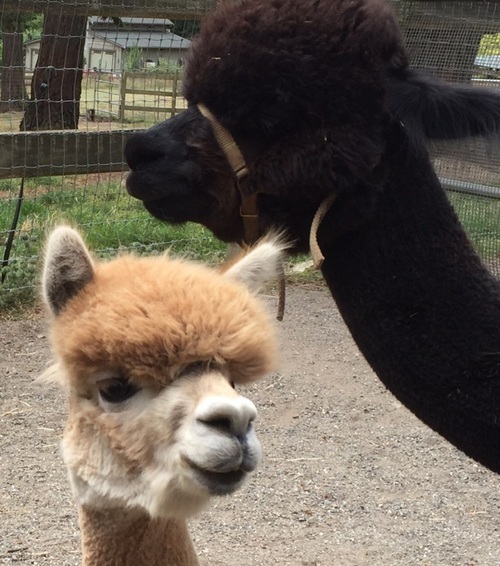 UPDATE: JR's first cria has arrived. A beautiful and robust dark-colored female! We are not entirely sure of her color at this early age, but think she is either a dark gray or bay black. 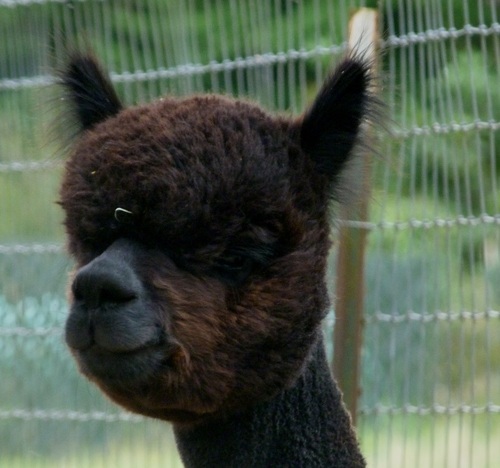 Many thanks to Zumbador Alpacas for selling this fine male to us.